Angular Gripper | 180&deg Pneumatic | GRB | PHD, Inc.
Series GRB Pneumatic 180° Angular Grippers provide up to 180° of angular jaw travel, allowing the jaws to completely retract from the work area. Internal shock pads help reduce end of rotation shock and ensure quiet operation. 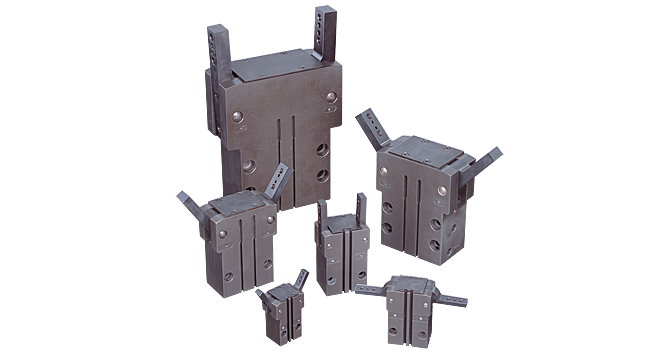 Series GRB Grippers come in a selection of six different sizes for applications requiring a wide jaw rotation.